But the business of managing startups is different than that of public companies. Many investors expect startups to attain far faster growth rates than the 25-75% annual that characterize the public companies with revenues that exceed $100M per year. At the early stages, the fastest growing SaaS companies grow 3-4x annually, then 2-3x annually and eventually asymptote to the aforementioned public figures. If the growth expectations differ from public companies, so must the burn assumptions for early and mid-stage start ups. These business’s goals shouldn’t necessarily to become profitable as fast as possible, but to grow as fast as possible while burning a “reasonable” amount of capital. I’m sure I’ll elicit a bunch of chuckles about that word, reasonable. What is a reasonable? There is no universal answer. But there is one framework for thinking about the right burn rate that I’ve observed recently that several founders have derived: Base Burn & Growth Burn. 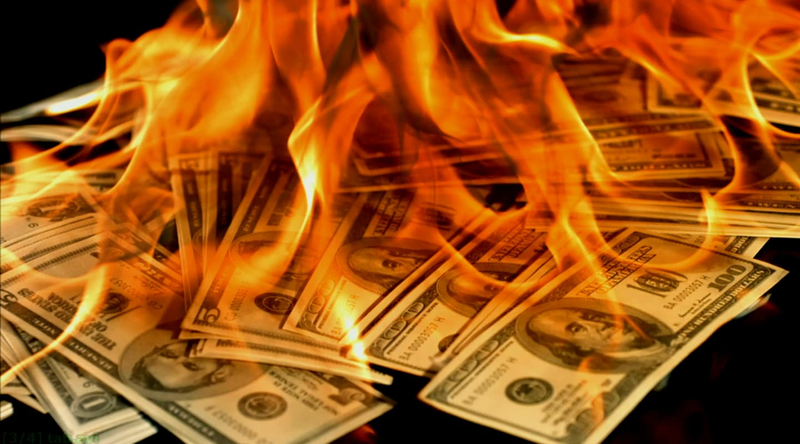 Base Burn is the amount of money the company spends to operate: real estate, salaries, benefits, legal fees - all of the operating costs of the business. Growth Burn includes the marketing and sales costs of new customer acquisition. Founders managing their business this way aim to drive the business to profitability on Base Burn. Facing a cash shortage, the startup could cut all new customer acquisition to generate profit. With enough cash on the balance sheet, the business can continue to grow at aggressive rates. That rate is likely limited by the payback period of customer acquisition channels. According to the most recent PacCrest survey, the average payback period is around 11 months, but many fast growing companies sustain 15-20 month payback periods. Thinking about Base Burn and Growth Burn in this way provides the company leverage in fundraising conversations because the business always has the option of becoming profitable quickly. But it also enables the management team to grow revenues aggressively in a logical way.